The Colstrip Steam Electric Station consists of four generating facilities. Units 1 and 2 are 307 Megawatts each and Units 3 and 4 are 740 Megawatts each (Nameplate capacity is cited and is larger than actual generation of delivered electricity). The modern town of Colstrip in Rosebud County was established during the construction phases of the plants and remains as a community of workers and support businesses for the electric generation facilities. The town draws drinking water from the Yellowstone River by a system that also supplies the generation facilities. The plants are partially owned by Talen Energy of Pennsylvania, which is also the operator of the facility. Riverstone Holdings, a New York City-based investment company, completed its acquisition of Talen in December 2016. Coal for the facilities is mined from the nearby Rosebud Mine, which is owned by Western Energy company, a subsidiary of Westmoreland Coal of Colorado. The mine is permitted by the federal Office of Surface Mining or through the state by DEQ. Other partial owners of the generation plant include Puget Sound Energy, PacifiCorp, Portland General Electric, Avista, and NorthWestern Energy. The six utilities with ownership in the generation plant paid the town of Colstrip and Rosebud County more than $13 million in 2014 in the form of property taxes. The coal mine paid nearly $9 million in county taxes that year. PSE owns 32 percent of the plants' generation with half ownership in Units 1 & 2 and 25 percent of Units 3 & 4. PGE owns about 14 percent of the plants' generation, 20 percent of both Units 3 & 4. PacifiCorp, which does business in Oregon, Washington, and Idaho as Pacific Power and Rocky Mountain Power, owns about 7 percent of the plants' generation, 10 percent of both 3 & 4. Avista, Spokane-based utility serving eastern Washington, Northern Idaho, and Juneau, Alaska, owns about 7 percent of the Colstrip generation, 15 percent of both Units 3 & 4. Avista was recently under a purchase agreement by Hydro One of Toronto, Canada. That agreement was turned down by the Washington State Utilities and Transportation Commission in December 2018. The Montana regulated utility based in South Dakota owns 30 percent of Colstrip Unit 4. The company that operates Colstrip sells electricity to wholesale and industrial customers and electric cooperatives. It owns one-half of Units 1 & 2 and 30 percent of Unit 3. Talen has no ownership in Unit 4. This small electric generation plant was originally certified by the Federal Energy Regulatory Commission (FERC) as a Qualifying Facility in 1984 under provisions that address use of waste fossil fuels. The plant was authorized to burn “waste coal” (subbituminous) from then-Western Energy’s Decker mine. FERC had determined certain coal from the Rosebud Mine to be “waste” material. Ownership: Owned and operated by Colstrip Energy Limited Partnership (CELP), Boise. Location: Six miles out of Colstrip. Fuel: Waste coal, principally from the Rosebud Mine, Decker. In November 2018, Montana DEQ and the Office of Surface Mining Reclamation and Enforcement (OSMRE) issue a joint Final Environmental Impact Statement for Western Energy Company's expansion, known as Area F at the Rosebud Mine (see Coal Mining). Westmoreland Coal, owner and operator of the Rosebud Mine, files for bankruptcy in early December 2018. In March 2018, Hydro One, Ltd., of Toronto, Canada and Avista Corp., of Spokane, agree to merge for $5.3 billion; the plan is initially accepted by the Washington State Utilities and Transporation Commission and the Public Servcice Commissions of Montana and Alaska. In August 2017, Talen Energy reverses an earlier decision and announces it will operate the Colstrip facilities into the forseeable future. In November 2018, the Washington Utilities and Transportation Commission cites “careless disregard” by the province of Ontario, the major stockholder of Hydro One, and effectively halts the proposed merge/purchase of Avista. Talen Energy (Riverstone Holdings) and PPL Corporation file countering lawsuits regarding the terms of the 2016 sale. Earth Justice and Talen Energy sign a settlement on converting to a “non-liquid” or dry stack disposal system for coal combustion residuals no later than July 1 2022. This only applies to the Units 3 & 4 ponds. DEQ signs on the settlement to provide approval because of the Administrative Order on Consent the agency is administering. A separate settlement between MEIC/Sierra Club and the Colstrip Partners calls for Units 1 & 2 to close by the year 2022. Riverstone Holdings completes merger with Talen Energy. PPL Corporation announces it is spinning off subsidiary assets in Montana and elsewhere to newly-formed Talen Energy, also of Pennsylvania. The Environmental Protection Agency issues its Coal Combustion Residual Rule, which regulates coal ash as a non-hazardous waste, calls for numerous requirements for ash ponds, and calls for industry self-implementation. Colstrip Unit 4, offline for scheduled maintenance during May and June, fails upon return to service and remains down for four months. PPL Corporation settles with the Montana Department of Environmental Quality over leaking coal ash ponds, requiring the company to clean up the problem. An Administrative Order on Consent is signed and filed (Colstrip AOC Final Official Record). The settlement is challenged in court by the Sierra Club, the Montana Environmental Information Center, and the National Wildlife Federation. The census lists 2,214 people living in 863 households in Colstrip. Colstrip power plant owners settle with residents of the town over contaminated groundwater linked to leaking ash ponds. The settlement is $25 million and the town of Colstrip becomes fully reliant upon water piped 30 miles from the Yellowstone River and contained in Castle Rock Reservoir. NorthWestern Energy emerges from Chapter 11 bankruptcy. Colstrip power plant owners are sued by 57 residents of the town over contaminated groundwater linked to leaking ash ponds. Boron, sulfate, chloride, and other contaminants are identified. 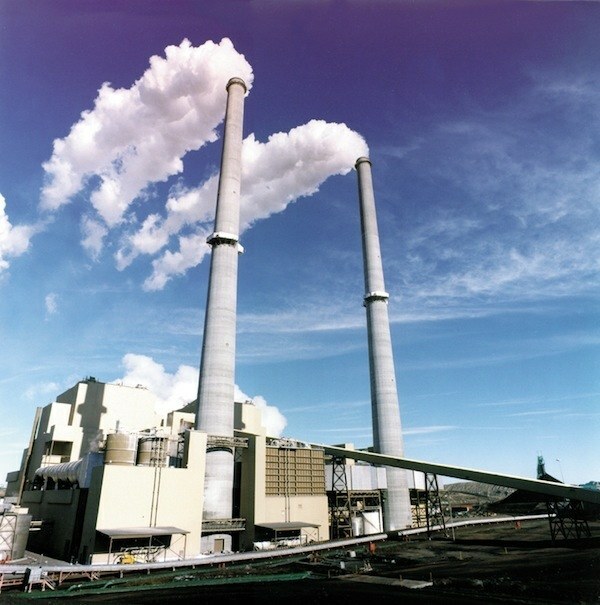 The Montana Legislature exempts coal-fired power plants from the Major Facility Siting Act, essentially eliminating coal combustion wastes such as ash from state regulation. NorthWestern Energy files for Chapter 11 bankruptcy, listing $2.2 billion debt. Montana Power Company sells its shares in Colstrip Unit 4, and associated contracts, and leases to NorthWestern Energy. Sale of Montana Power Company generation facilities to PPL Resources, Inc. of Allentown Pennsylvania is completed for $757 million. Sale of electricity transmission lines and distribution assets to NorthWestern Corporation of Sioux Falls, South Dakota is completed for $1.1 billion. NorthWestern sells electricity in Montana by buying supplies from other companies, including PPL. Rosebud Coal Mine sold to Westmoreland Mining. City of Colstrip is incorporated. The Department of Environmental Quality is formed out of the Energy Division of the Montana Department of Natural Resources & Conservation, the Hard Rock Bureau of the Reclamation Division of the Department of State Lands, and various entities within the Department of Health & Environmental Sciences. The new agency resumes permitting and environmental review at Colstrip. Montana Legislature passes legislation to deregulate electricity generation. Montana Power announces intention to sell hydroelectric facilities and coal-fired power plants. Stage 1 ash pond is found to be leaking. It is later capped. Montana Legislature exempts coal ash from solid waste statutes. The Montana Supreme Court rules in Montana Power Company v. Fondren that no District Court can challenge the centerline determination by the Board of Natural Resources & Conservation for the Colstrip transmission line. Rather, court jurisdiction in eminent domain cases is limited to hearing challenges to the necessity of taking of private property. Rosebud Power Plant owned by Colstrip Energy Limited Partnership (CELP) is certified as a Qualifying Facility by the Federal Energy Regulartory Commission (FERC) to burn waste coal to generate 42 Megawatts of electricity six miles outside of the town of Colstrip. Colstrip Unit 4 is commissioned and goes into production. Bonneville Power Administration issues its Draft Report to the Board of Natural Resources & Conservation on the portion of the proposed 500 kV transmission line from Garrison, Montana to Spokane. The line avoids the Flathead Reservation and construction is completed. Ownership of the line between Colstrip and Townsend is divided among the investor utilities and BPA in a complicated interparty agreement. BPA maintains ownership of the route from Garrison, Montana to Taft, near the Idaho border, while rights from Townsend to Garrison are traded for access to the eastern portion of the line. Major Facility Siting Act Certificate of Compliance issued to Bonneville Power Administration for Garrison west to Taft portion of 500-kV transmission line. Major Facility Siting Act Certificate of Compliance issued to Bonneville Power Administration for Townsend to Garrison portion of 500-kV transmission line. Major Facility Siting Act Certificate of Compliance issued to Montana Power Company (30 percent), Puget Sound Power & Light (25 percent), Portland General Electric Company (20 percent), Washington Water Power Company (15 percent), and Pacific Power & Light Company (10 percent) for Colstrip Units 3 & 4, and transmission lines from Colstrip to Hot Springs, Montana. Colstrip Units 1 & 2 are commissioned and go into operation. Stage 1 ash pond is constructed with clay liner. The Montana Board of Natural Resources grants the permit for Units 3 & 4 with numerous conditions, and grants the permit for the transmission lines as proposed. A series of appeals and lawsuits follows with one major outcome being the designation of the Northern Cheyenne Reservation as a Class I Airshed and consequent requirement for 90 percent sulfur removal via scrubbers on the proposed units. Construction begins on Colstrip Units 3 & 4. Final Environmental Impact Statement on Colstrip Electric Generating Units 3 & 4 and 500 Kilovolt Transmission Lines is issued by the Energy Planning Division of the Department of Natural Resources & Conservation (https://archive.org/details/177031B1-9308-48F9-9559-BAD48C19B04C). Major Facility Siting Act Certificate of Compliance issued to Montana Power Company and Puget Sound Power & Light for Colstrip Units 3 & 4, and associated facilities. The 150-acre Castle Rock Lake construction is completed and water from the Yellowstone River is pumped 30 miles to fill it. It is used primarily for steam and cooling at the plants, but later also serves as a reservoir for Colstrip domestic water. The Utility Siting Act is amended to become the Major Facility Siting Act, which expands the law to also cover coal conversion plants and pipelines. The Act, administered by the Department of Natural Resources and Conservation, requires a Certificate of Public Convenience and Necessity before construction can begin on any generating plant over 50 MW or transmission line over 69 kV (except for lines under 10 miles and under 230 kV). Since Colstrip 1 & 2 are already under construction, the units are “grandfathered” (excepted) from the Siting Act. Montana Power Company applies to the Department of Natural Resources & Conservation for a siting act certificate of “environmental compatibility and public need” to build Colstrip Units 3 & 4 and associated transmission lines. The plants are planned to be two 700 MW units, fueled by subbituminous coal from an adjacent mine owned by Western Energy, a wholly-owned subsidiary of Montana Power. While MPC is to be the project developer, ownership is to be shared among five utilities: Montana Power is to own 30 percent and the remainder is to be shared by Pacific Power & Light (now Pacificorp), Washington Water Power (now Avista); Portland General Electric, and Puget Sound Power & Light. The transmission associated with the plant is to be a double-circuit 500 kV line, extending from Colstrip to Broadview, and from there to Hot Springs, Montana where it will connect into Bonneville Power Administration's Hot Springs substation. The single-circuit 230 line serving Colstrip 1 & 2 is to be reconstructed to become one circuit of the new line as far as Broadview. The 1973 Colstrip application triggers a two-year study period for the Department of Natural Resources & Conservation’s Energy Division to: consult with interested agencies and the public to investigate the need and impacts and alternatives; to produce a draft and a final Environmental Impact Statement; and to make recommendations to the Board of Natural Resources on whether to grant the certificate as well as what conditions to place on the certificate. The federal Water Pollution Control Act of 1948 is amended and becomes known as the Clean Water Act. It establishes the basic structure for regulating pollutant discharges into the waters of the United States and gives the Environmental Protection Agency authority to implement pollution control programs. Montana passes the Utility Siting Act governing construction of power plants and transmission lines. Congress establishes the basic structure of the Clean Air Act. Major revisions would follow in 1977 and 1990. Hazardous or toxic air pollutants that pose a health risk are contained in the provisions. Montana Power Company (MPC) and Puget Sound Power & Light (PSPL) begin construction on Colstrip units 1 & 2. Each is a 350 megawatt (MW) mine mouth coal-fired generation plant. Associated with the plants is a 230 kilovolt (kV) transmission line built to 500 kV specifications, running from Colstrip to the Broadview substation north of Billings, where power is fed into MPC’s existing 230 kV grid and delivered to the Bonneville Power Administration for transfer to the PSPL service area. Each utility holds equal 50 percent shares in the generating plants and transmission line. Montana Power Company (MPC) purchases from the Northern Pacific Railway rights to mine coal at the idle Rosebud Mine. The sale includes the Colstrip townsite. The Northwestern Improvement Company, a subsidiary of the Northern Pacific Railroad, begins strip mining of the Fort Union formation near present-day Colstrip. Geologic investigations indicate a major reserve averaging 28 feet in thickness with little overburden. The Energy Bureau compiles and maintains energy production and consumption statistics for the Legislature’s Environmental Quality Council. Texts of the reports may be found in the publication, Understanding Energy in Montana. The Rosebud Mine (Western Energy Company, a subsidiary of Westmoreland Coal) is the only mine in active operation at Colstrip. DEQ is involved in the permitting of five separate areas (Areas A through E) comprising roughly 25,000 acres. Western Energy Area F has a pending permit with DEQ and appropriate federal agencies for roughly 7,000 acres. The Final Environmental Impact Statement for Area F was issued in November, 2018. The Cover Letter and Final EIS are now available. A Montana Pollution Discharge Elimination System (MPDES) permit for the Rosebud Mine (MT0023965) can be found under the tab for Water. Bonding for the Rosebud Mine is at $145 million. Peabody Coal Company's Big Sky Mines are in closure with some remaining permitting through DEQ. In 2012, DEQ took an enforcement action by entering into an Administrative Order on Consent (AOC) with Talen Montana to address groundwater contamination from the Colstrip Steam Station's coal ash disposal ponds. Talen is already working on pond and well upgrades that pertain to both the AOC and the CCR Rule. DEQ’s issuance of the AOC was the subject of a challenge in state district court. Plaintiffs in that lawsuit and Talen have reached a settlement agreement that requires Talen to convert to the dry disposal of coal ash from Units 3 and 4 by July of 2022. Dry Disposal Plan by Talen Energy Dry Disposal Certificate Amendment Notice Final - 20 May 2016. Licensed the by Rosebud County Solid Waste District in August, 1994, the Rosebud County Class II Landfill serves Rosebud and Treasure Counties. The landfill is located approximately five miles north of Colstrip on Highway 39. The facility is located on a 160 acre site with 22.3 acres developed for the disposal of municipal solid wastes. The facility accepts 10,000 tons of waste annually and has a design life of 46 years. The landfill features include a composite liner and leachate collection and removal systems. The facility also conducts semi-annual ground water monitoring and random waste load screening. The Rosebud County Motor Vehicle Recycling Program collection site is also located at the landfill. There are no licensed private Motor Vehicle Wrecking Facilities in the Colstrip area. Also, see DEQ’s Landfill Locations & Materials Accepted Excel file. A Montana Pollution Discharge Elimination System (MPDES) permit is pending for the Rosebud Mine (MT0023965), which entails discharges into numerous receiving waters, including Armells, Cow, Stocker, Pony, and Spring Creeks. The City of Colstrip community water system serves 2,300 people and the source is the Yellowstone River via Castle Rock Lake. Western Energy has a community water system serving 200 people and the source is groundwater. (The City of Colstrip Water Treatment Plant) withdraws water from Castle Rock Lake, which is charged by water pumped thirty miles from the Yellowstone River. The city is authorized by DEQ to discharge filter backwash water to Castle Rock Lake. A pesticide general permit is also issued by DEQ for application to Castle Rock Lake to control algae growth. The City of Colstrip has a (Waste Water Treatment Plant) with holding ponds, an oxidation ditch, and a sludge containment area. Reclaimed water is used on the Pine Butte Golf Course. A Phase One application is before DEQ for improvements on the system. Talen Montana and DEQ have an Administrative Order of Consent (AOC) that requires an assessment of groundwater contamination stemming from leaking coal ash ponds. See the Colstrip Steam Electric Station Coal Ash Ponds for more information, or click on the Coal Ash tab. Drinking Water Consumer Confidence Report Most recent report of Colstrip's drinking water.